Mickey Mouse Printed Round Bowl | Multicolour | Ideal for feeding liquid food to your little one. Let your little one enjoy his favourite cereal or other snacks in this bowl and stay healthy. 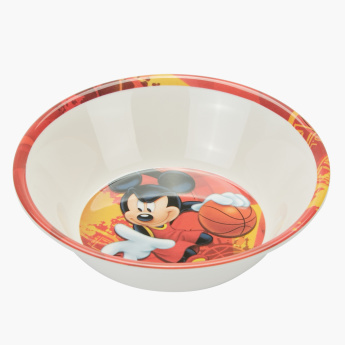 The Mickey Mouse print and round shape make it a fabulous pick for daily use. 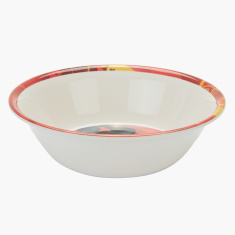 Feature 1 : Ideal for feeding liquid food to your little one. 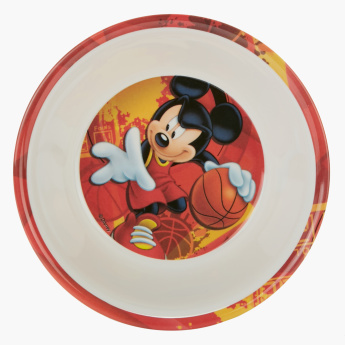 Feature 3 : Specially designed with mickey character to ensure your little one have fun time during meal time.